“Women Are Special 123 Reasons Why” is an inspirational book in celebration of women. Sometimes we women just don’t give ourselves enough credit, or take time to celebrate, all that we are, all that we contribute and all that we influence. It’s a reminder of how far we’ve come….and the opportunities for the road ahead. It’s a must read for any woman looking to be inspired and to take charge of her life, and the perfect gift for the women in your life. The reasons why women are so special are limitless. It’s as rich and varied as there are women, past and present, who have graced the planet with their presence. But I had to start somewhere, so here are the first 1-2-3. They are compiled from my own experience and notions of what it means to be a woman as well as the insights provided me by many other female friends & colleagues. I wanted this book to be a celebration of women, and…as I’ve dedicated my life and work to…helping women fearlessly stand in their power. Being fearless starts with feeling special. Women gain courage and confidence when they own their gifts and talents. Feeling special, accepting & recognizing who you are will let you take a giant step forward to standing in your power. This book is intended to inspire…to start you down the path from special to fearless. I hope you’ll read “Women Are Special” and recognize yourself in many of its pages. I hope you’ll share it with your friends and make it required reading for fearless women everywhere. As a thank you for your interest in “Women Are Special” please request my free MP3. In it I share inspiring and encouraging insights on fearlessly standing in your power. They’re words every woman will want to hear to help maximize her talent. In our daily lives women are so busy multi-tasking, fulfilling commitments and living in the middle of our lives that we sometimes forget how wonderful and special women are and for so many reasons. We are the leaders, followers, advisors, consultants on large and small matters on the job, in the home and throughout the world. We are the mothers, sisters, girlfriends, wives, grandmothers, great-grandmothers and caregivers of all those who enter this world. We protect, secure and defend in the armed services, in our homes and in our communities. Whew! We do, and we accomplish much and yet we feel there is always more to do — don’t we? I thought about women and all that we do. Sometimes we just don’t give ourselves enough credit, for or take time to celebrate, all that we are, all that we contribute and all that we influence. That was when I began jotting down reasons why Women Are Special. Then I began emailing some friends to ask them why Women Are Special. This book is a compilation of some initial thoughts of why Women Are Special. And please remember to take a minute today to celebrate your own uniqueness, because Women Are Special. Why Do You Think Women Are Special? I am sure you have your own ideas on what makes a woman special and I would love to hear them, so consider this your invitation to contribute to the next edition of “Women Are Special”. 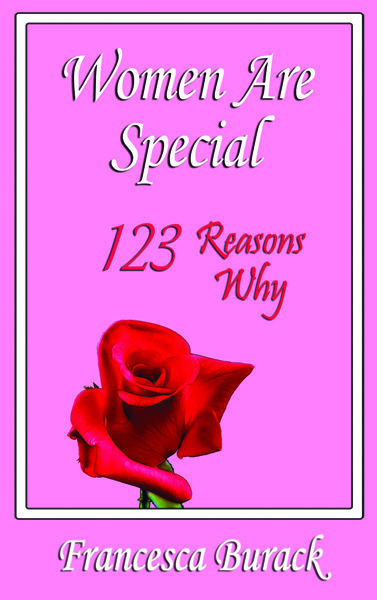 If you purchase the book, I have enclosed a note page at the back of the book for you to write your thoughts on why women are special and what makes you special, which you can then share with me at francesca@fearlesstalentdev.com…or just fill out the form here with your thoughts and sign the release. We will give every submission our full consideration. I dedicated “Women Are Special” to my mother, Celia Burack, who inspired much of my power. It doesn’t matter whom or what inspires your idea though. Whether you think women are special because of the way they love, protect, lead, work, think, nurture, teach, shine, provide support & guidance or any other reason…let the world know. Don’t hesitate, be fearless and contribute your unique perspective on why women are special. 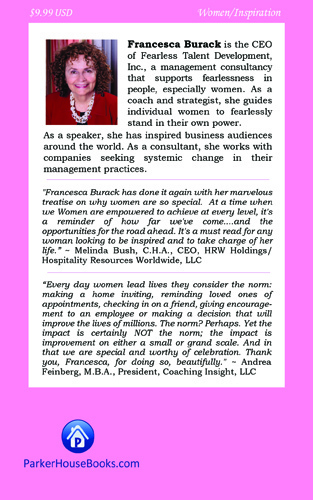 Inspire your group or company with the wisdom of “Women Are Special” as well as my work in Fearless Coaching, Fearless Leadership & Fearless Diversity. 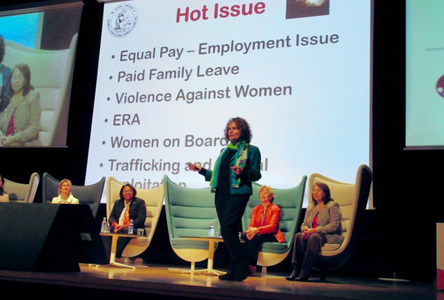 I give compelling, inspirational and educational talks all over the world on promoting fearless female talent and having women stand in their power. Let me motivate your company or group speaking to the significant impact of women and how to effectively develop their fearless talent. Let me share with your audience how women make companies smarter and more profitable, turn implacable challenges into advantages, promote diversity, more effective communication and greater success. Contact me at francesca@fearlesstalentdev.com or 1.212.472.8578…or just fill out your inquiry below. Let me empower the women in your group to be utterly fearless! 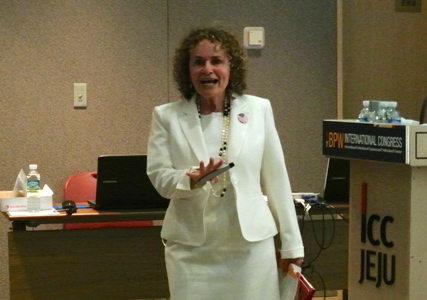 Copies of “Women Are Special” are available as gifts at all my speaking engagements. Get Fearless At Your Next Event!